(Lanka e News - 30.June.2018, 7.00PM) The Prime Minister’s office would like to make following clarifications with regard to a news item appeared in Print media today regarding Prime Minister’s speech made at the Dr. Saman Kelegama memorial conference held on 29.06.2018 in Colombo. At this conference the Prime Minister stated that he negotiated with Prime Minister Li and President Xi of China and came up with a proposal which was beneficial for both parties. Sri Lanka also informed the Chinese that Hambantota cannot be used for military purposes. The Sri Lanka Navy is moving its Southern Command to Hambantota. There is no need to be frightened as security of the port will be under the control of Sri Lanka Navy. Once an American has asked him, “what would you do if the Chinese troops land in Hambantota”. 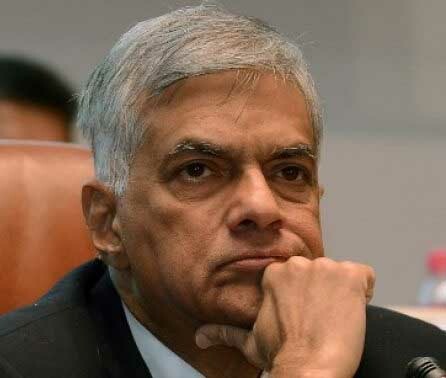 The Prime Minister has responded saying that there is a full army division stationed at Hambantota. The Prime Minister never mentioned that we will not be resisting any invasion. Further, no Navy in the region has the capacity to land an army division in Sri Lanka.